The exhibition Replica Obscura investigates physicality of optics through photographic principals and architectural strategies. 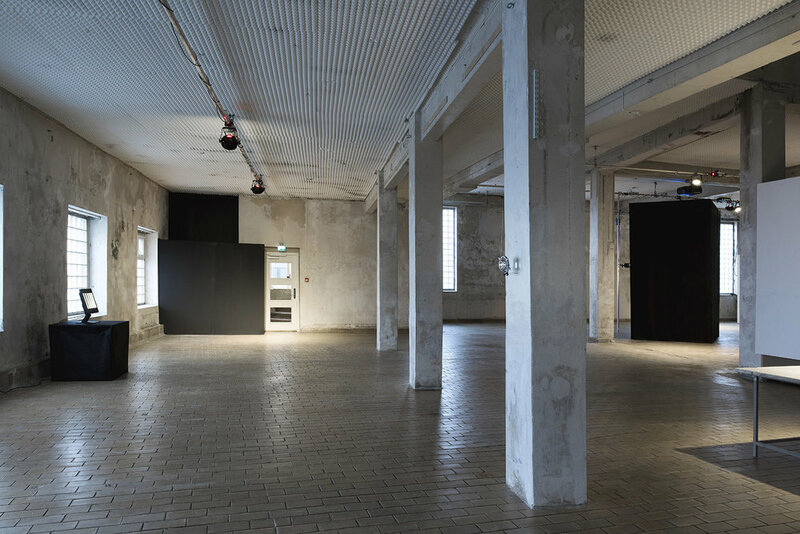 During one month Åsne Eldøy and Floriane Grosset was collaborating on forming an exhibition with basis in photography and how it relates to physical experience, shaped by the boundaries of the exhibition space. Through experimentation and discussion, trying to establish a common ground for working with themes such as reproduction, the history of photography and what to see really entails. 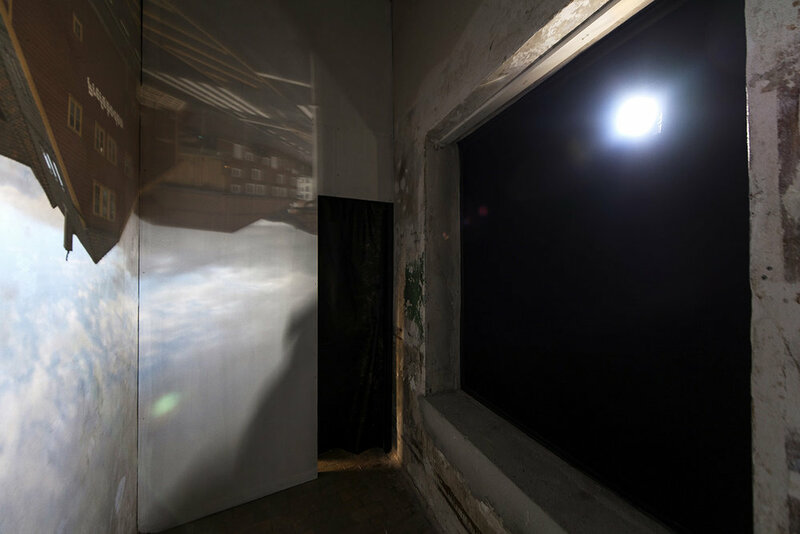 Replica Obscura is a collaboration between Åsne Eldøy and Floriane Grosset, curated by Sara Kollstrøm Heilevang and Numi Thorvarsson. A room sized Camera Obscura, defined by the existing architecture, exposing the outside view. A copied space, inhabited with the techniques of a Laterna Magica, projecting a still image of it's surrounds. Video work by Floriane Grosset, found footage and magnifier. 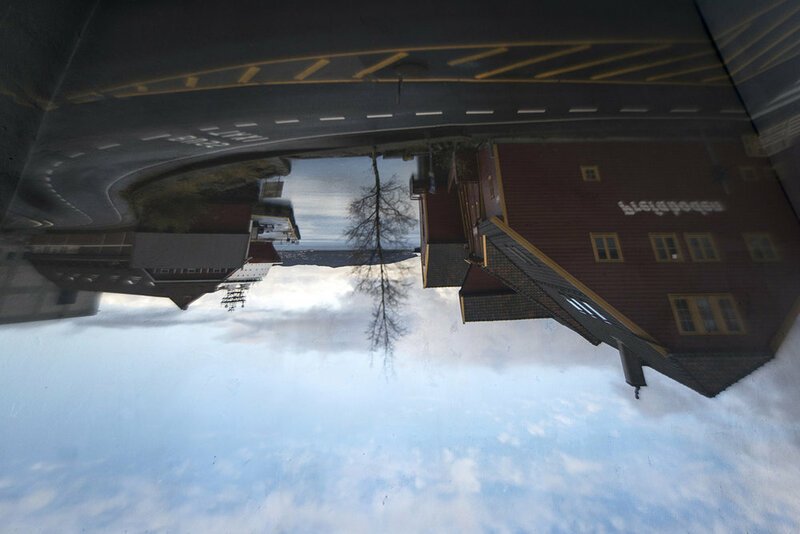 Optical Distortion, architectural gest by Åsne Eldøy, lens object. 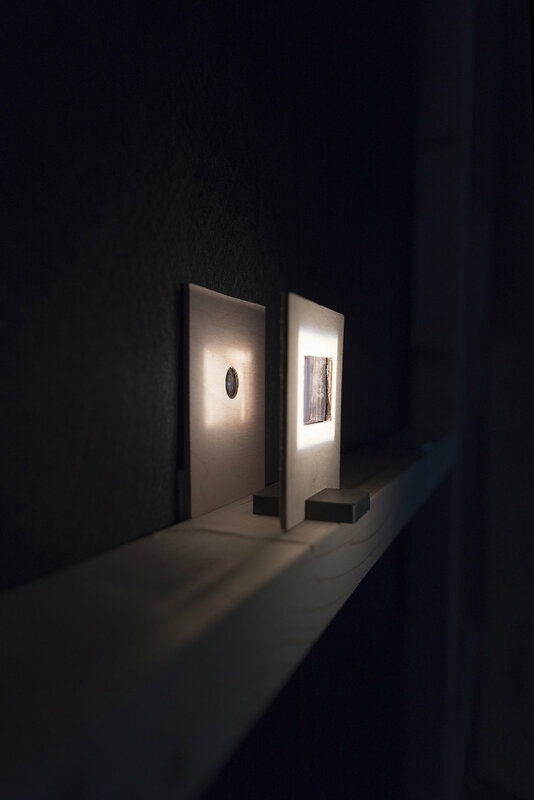 The exhibition developed during a period of being in the space and reading Jonathan Crary's Techniques of the Observer –On Vision and Modernity in the Nineteenth Century.